Apple picking begins September 6th and runs daily from 10:00am – 5:00pm through November. 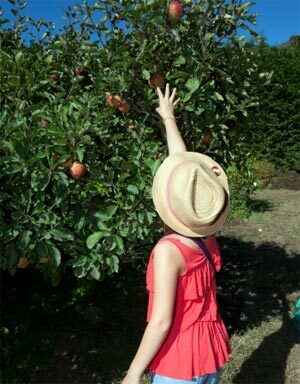 There are a variety of over 20 apples to choose; depending on the type of apple the picking period varies. Check out the chart below to see when your favorite apple is available for picking. If you just want to take a trip to enjoy the farm and enjoy a delicious apple, you can purchase apples in the farm stand. Please CALL AHEAD to check availability.